hoping to capture the strange new outlook I found my mind dwelling in after walking into the daylight, but I didnt. Instead, I stopped at the community pool where my daughters were having a swim evaluation, which I believe may have been the point of the film. a man. The narrative is emotion. The story is duality. The tale is pain, aggression, grace and love. All, part of the same story. glimpsed through the eyes of a child, of a man, of a mother, a wife, a husband or a father. or the way of nature, Jacks father. 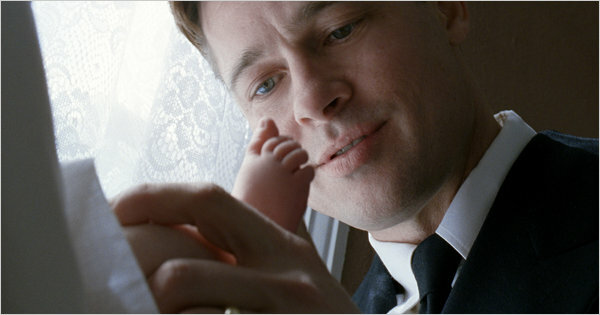 Brad Pitt carries the weight of a generations regrets and ambitions in scenes of such incredible tenderness and emotion while at the same time evoking the bursts of violence and frustration that every father can relate to and understand. of doing what you believe best for those you love, and the mistakes you make. And most of this conveyed wordlessly. as I mentioned, I dont have the language or the intellect to do justice to what I have seen/felt/understood. I do, however, believe I felt it. which is why I stopped at the pool and watched my daughters swim. They are my tree of life.